Need a website that creates impact? A website designed to drive traffic, and convert visitors into customers? Looking for a Website Design Agency in Hampshire? From our offices in Basingstoke Hampshire, Snap Marketing design websites for our clients that are simple, clean, unique, and engaging for all sizes of business consistent with your business drivers, needs and online aspirations. We believe that creative web design must be backed with usability on all device platforms, coupled with logical site navigation, in order to offer the perfect customer experience. But before a single line of code is laid down, the key to getting this spot on, is strategic alignment with your business goals from the outset . Apart from being really creative, and engaging, our websites are designed to rank very highly on the search engines, so the clients who take on our SEO services also tend to enjoy top positions. Each website design project receives our undivided attention because we believe each business is unique. From our initial meeting through to delivery, the website design and development process will be tightly linked to your business strategy, product proposition, target market and the specific objectives of the website. Right from the start, we'll be discussing with you the need to achieve prefect rendering of your website design across both desktop and mobile platforms. Then our sites are tested rigorously across the majority of popular browsers. At Snap, we know how to ensure that your website is the most effective use of your budget. Not all Website Design Agencies are the same! 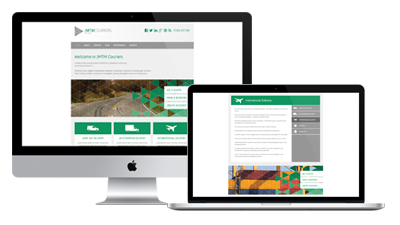 Why not check out some of the bespoke website designs we have created for our clients.